Pavel Shamsutdinov, FASTWEL Group Co. Ltd. 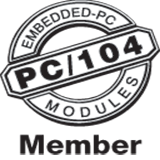 The StackPC standard keeps stackable architectures growing with the addition of high-performance interfaces and the maintenance of backward compatibility. Pavel Shamsutdinov FASTWEL Group Co. Ltd.